There are many different types of remodeling projects that we at Tilghman Builders help conceptualize and build. 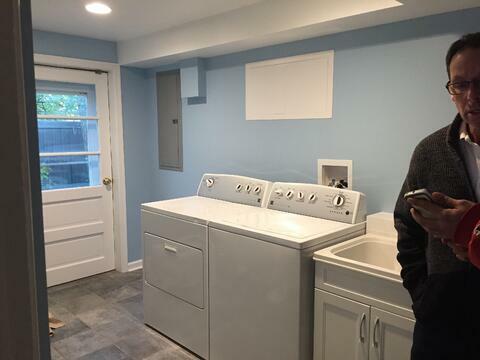 In November, our lead contractor Junior completed a bathroom, laundry room, and bedroom home addition that we’d like to share with you. Tell us about this addition project. 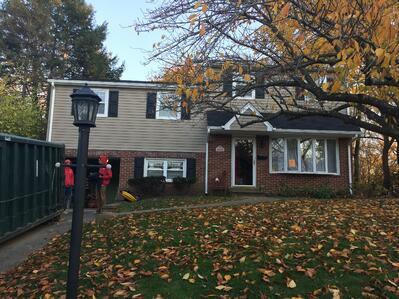 It was a big project, starting with the addition upstairs, which included a master closet and a bathroom renovation. Then we upgraded their kitchen and their laundry room. We also added closet space after trying to decide where the furnace would go. This added room to their addition and made the space look cleaner. What features were included in the new kitchen? We installed new cabinets and ripped out their flooring since it was in bad shape from the job before. The goal of any addition is to make the space seem like it was always there, so we worked to create a new look that also went with the style of the existing home. The family decided to add more cabinets than they had, and some decorative features, such as glass doors and open shelving for cookbooks. What did you include in the laundry room? The biggest problem with the laundry room in the beginning was that we were working with a very tight space. There was a wall that was separating the garage from the laundry room, and we ended up moving that wall back about 3 feet. 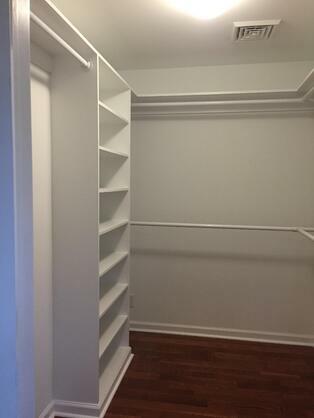 This definitely gave our clients a lot more room to work around their washer and dryer. 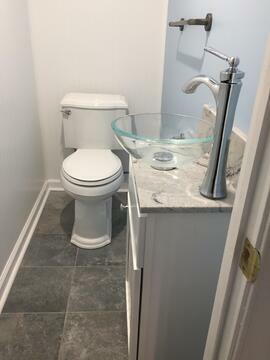 They specifically asked for a vessel sink in the powder room right off of the laundry room, and had pre-purchased a cabinet. However, we hit a roadblock when we realized the cabinet was too large for the narrow space. Throughout the entire project we kept brainstorming a way to make this type of sink work and ultimately I came up with the idea of reducing the cabinet dimensions to fit the small space by cutting the back off the cabinet. Even though the cabinet was less deep, the bowl of the sink still worked. I was very happy with the way that turned out and so were my clients! How long did it take for you to do this addition? It took about three months. We began August 17th and finished November 18th. Definitely the kitchen. I always love renovating the kitchen since it's what clients are most looking forward to seeing, especially after they’ve had it taken away from them for a few weeks! There are lots of minute details that I like to be on top of to make sure people get what they are expecting, if not more. For this kitchen we loved working with Village Handcrafted Cabinetry since their products are so great and make our job a lot easier. There were some change orders on this job, which can add time to the build. 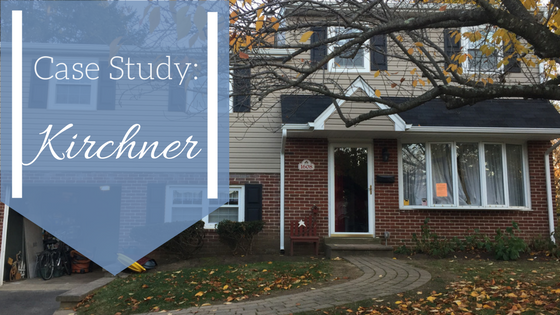 We had to adjust our schedule to deal with wood rot issues, and replacing a sliding glass door with a French door. But while these added time to the job, we were still able to finish on the original completion date. 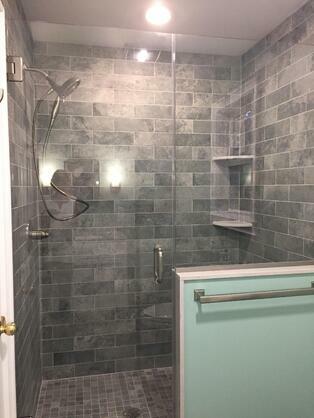 What was the client’s favorite part of their remodel? Definitely the kitchen and the laundry room. They were so happy when we were able to make the vessel sink work in their bathroom and they both loved the laundry room because they have room to open the door to their washer without being smacked against a wall. Everybody loved the stand up shower with the glass doors and the walk-in closet, which had 2 layers of clothes rods and tons of shelving. 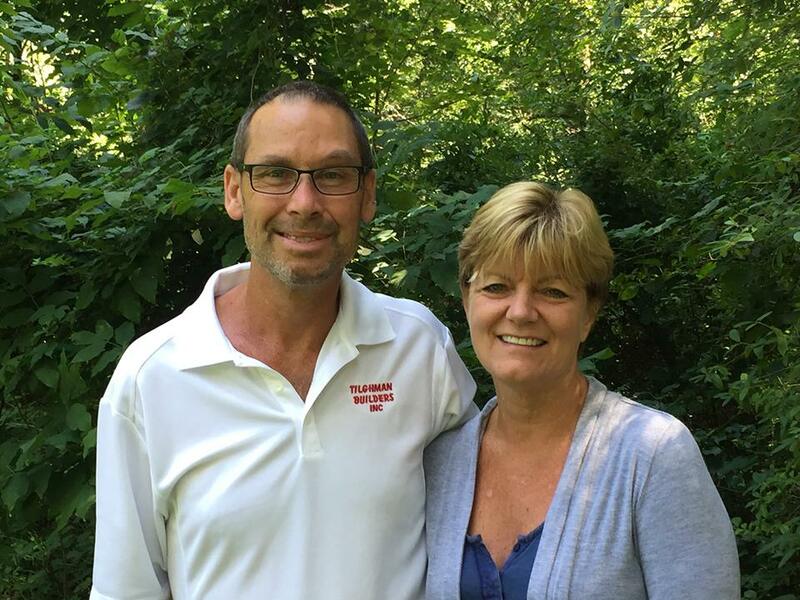 We love sharing our experiences with our clients, and hope it helps you through your own home project. You can read our additional renovation case studies here.